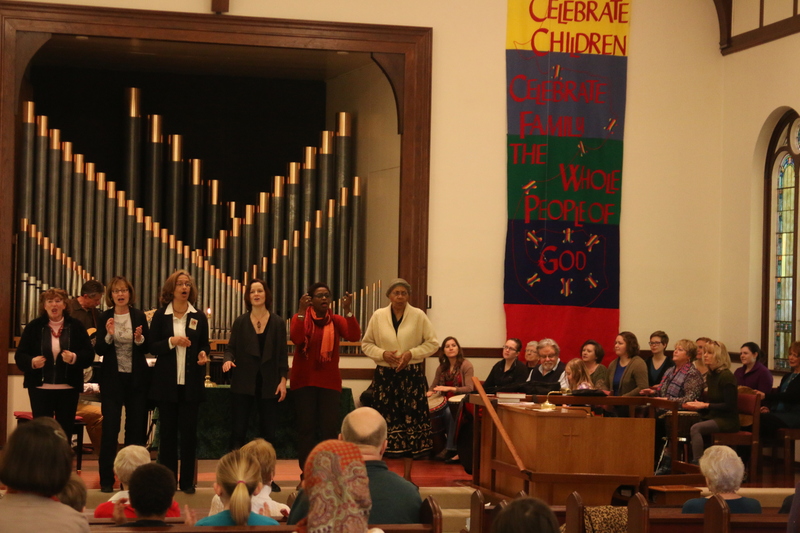 The Gospel Ensemble was founded by Evelyn Charity, who started singing gospel at age four and launched the Ensemble to share the richness and soulfulness of the music that inspires her. Tim Mayer, a professional jazz pianist, leads and accompanies the group. The choir is multi-generational and meets once a month prior to the service to practice rhythms, melodies and harmonies. Their repertoire includes gospel favorites like Swing Low Sweet Chariot and Wade in the Water, to pop tunes like People Get Ready and Seasons of Love. As Evelyn says, “because gospel music is sung from the heart and soul no experience is necessary”.